Will the proposed Bangsamoro Basic Law (BBL) finally bring lasting peace and end the decades-old conflict in Mindanao? What are the long-term impacts of having an autonomous government for Muslim-dominated provinces in Mindanao? Join the discussion on the measure as ANC, the ABS-CBN News Channel, brings “Bangsamoro and Beyond: A National Conversation, A KaSaMa Dialogue Series,” which airs on Saturday (October 18) on SkyCable Channel 27. The forum, launched in partnership with Karapatan sa Malikhaing Paraan (KaSaMa), an inter-embassy and multi-stakeholder human rights initiative, aims to bring to light the bill’s social, economic, territorial, and legislative implications, address skeptics of the measure, and examine how it would affect stakeholders in the Bangsamoro, including women, students, children, and non-Muslims. Hosted by seasoned broadcast journalist Ces Drilon, the discussion features panelists Sec. Ging Deles of the Office of the Presidential Adviser on the Peace Process; Ret. Gen. Emmanuel Bautista, executive director of the Cabinet Cluster on Security, Justice and Peace; Moro Islamic Liberation Front vice chairman Ghazali Jaafar; Prof. Jurma Tikmasan, chairperson of Nisa Ul-haqq, a grassroots civil society organization; Archbishop Antonio Ledesma; and Noel Bonoan, vice chairman of KPMG. 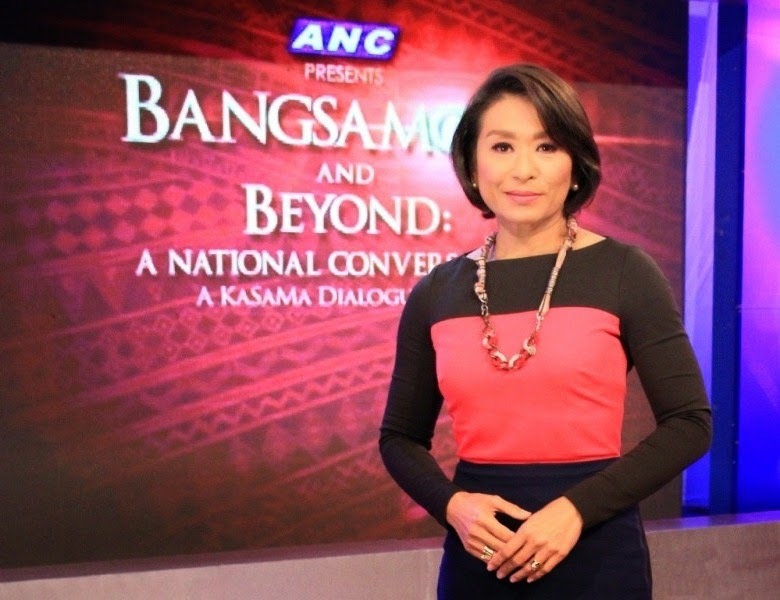 Don’t miss “Bangsamoro and Beyond: A National Conversation, A KaSaMa Dialogue Series” on Saturday (October 18), 8PM, on Sunday (October 19), 1 PM, and on Monday (October 20), 6PM on ANC (SkyCable Channel 27). Join the discussion by tweeting #BANGSAForum. For updates, like www.facebook.com/ANCalerts, @ANCALERTS on Twitter, or visit anc.yahoo.com.